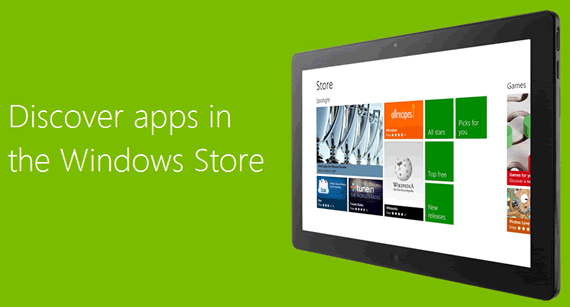 With the announcement of Windows 8 RTM follows the Windows Store launch for paid applications. Till now Windows Store applications had to be free, but from now on developers can submit paid applications to the Windows Store. Developers have to register their companies to the Windows Store, and the accounts are verified by Microsoft before submitting apps to the store. Although the announcement came today developers still had to wait till August 15th to get their hands-on the Windows RTM build, which is required for the paid app submissions. Once Windows 8 RTM reaches developers they can submit Metro styled apps to the store. Meanwhile Microsoft says developers can get accounts verified and keep developing for Windows 8 release Preview. To help developers with the app distribution Microsoft has added 54 new markets to the list of catalog, and also added 24 new app certification languages bringing total tally to 38 app submission languages. Microsoft takes a 30% cut of all app purchases and in-app subscriptions or purchases that are done through their platform. If a app hits $25,000 in total revenue including in-app purchases then they will take 20% of the cut to give something back to the developers who create virally successful apps. Developers don’t require to use Windows Store platform, they can also use their preferred payment gateways. Till now there is no central place for Windows applications, with the launch of the store both users and developers will be able to find great apps.